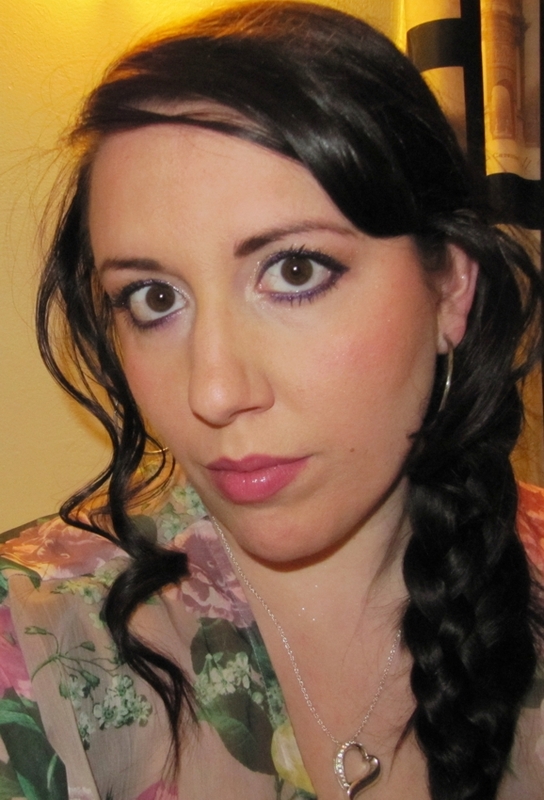 Just a couple of weeks ago I posted a smokey metallic makeup look that I wore to my husband’s work Christmas party. By the time my work party rolled around, I was ready to mix it up. 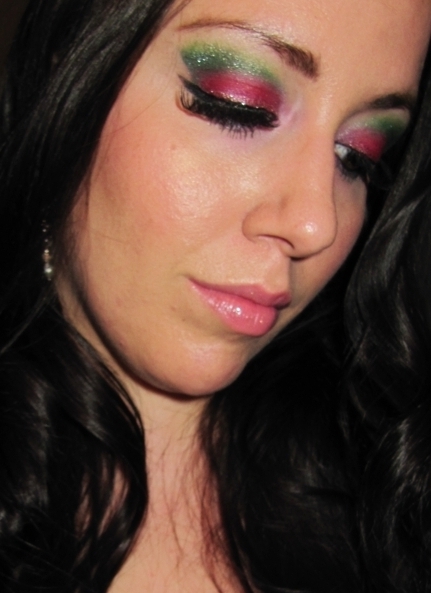 I wanted to play with some colour and ended up with a very intense, bold and festive makeup look. 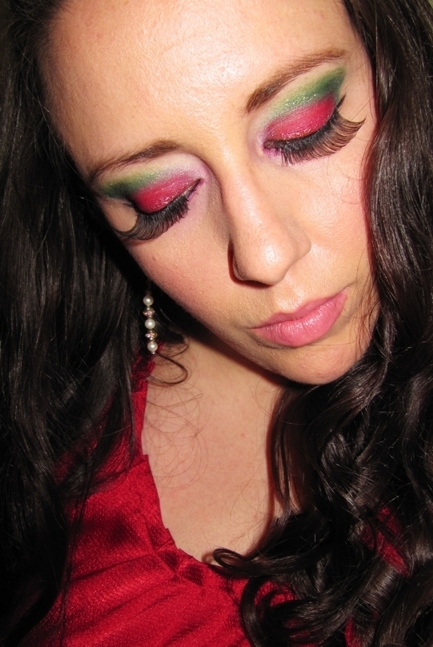 How about you, are you being adventurous with your makeup this holiday season? 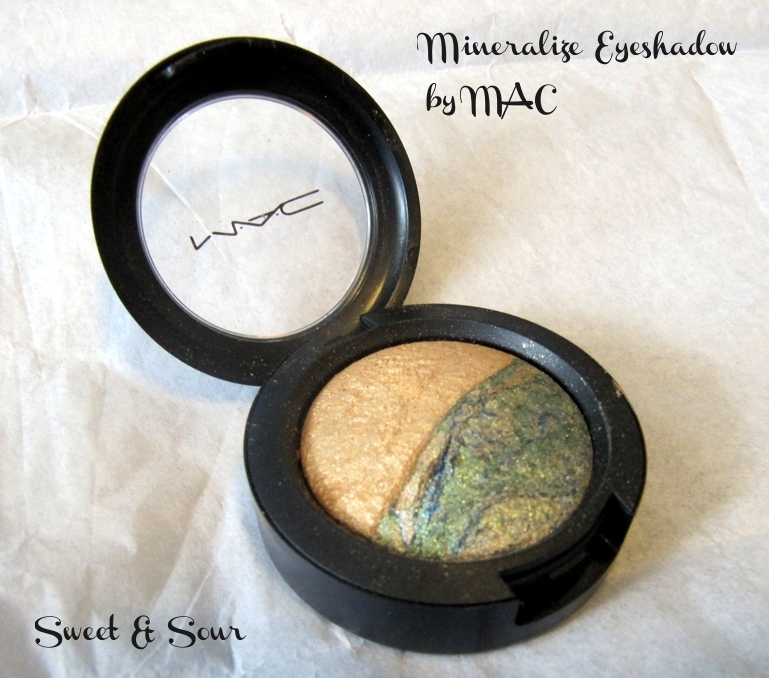 A few weeks ago I picked up another mineralize eyeshadow from MAC. I loved Fresh & Mint so much, I was aching to get another duo. 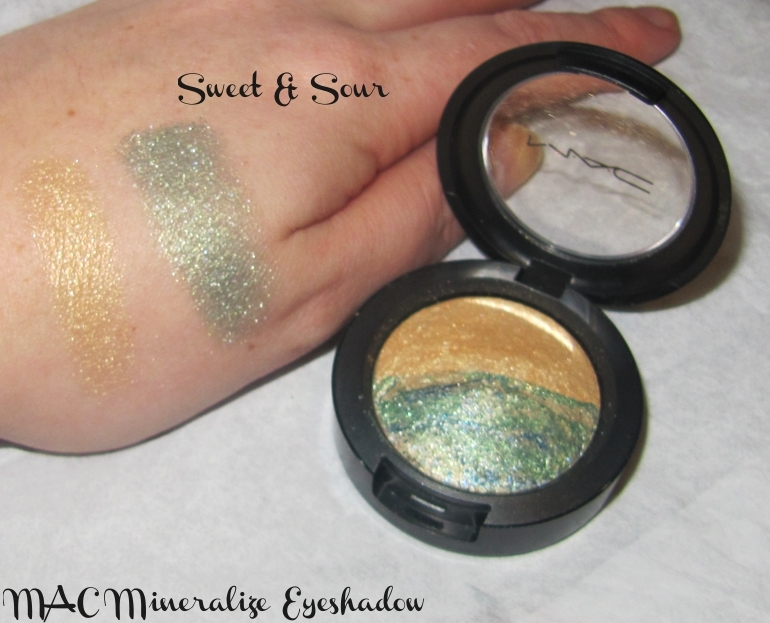 I ended up falling in love with Sweet & Sour, described by MAC as a Dirty Gold paired with a green and deep blue veining/warm gold. Keep in mind, these are all hand made, so every one is a little different than the one next to it. So for me, I wanted one that was more green than blue, so I actually went to a couple of stores to find the one I was in love with. But if you aren’t as picky as I am, you don’t have to worry. 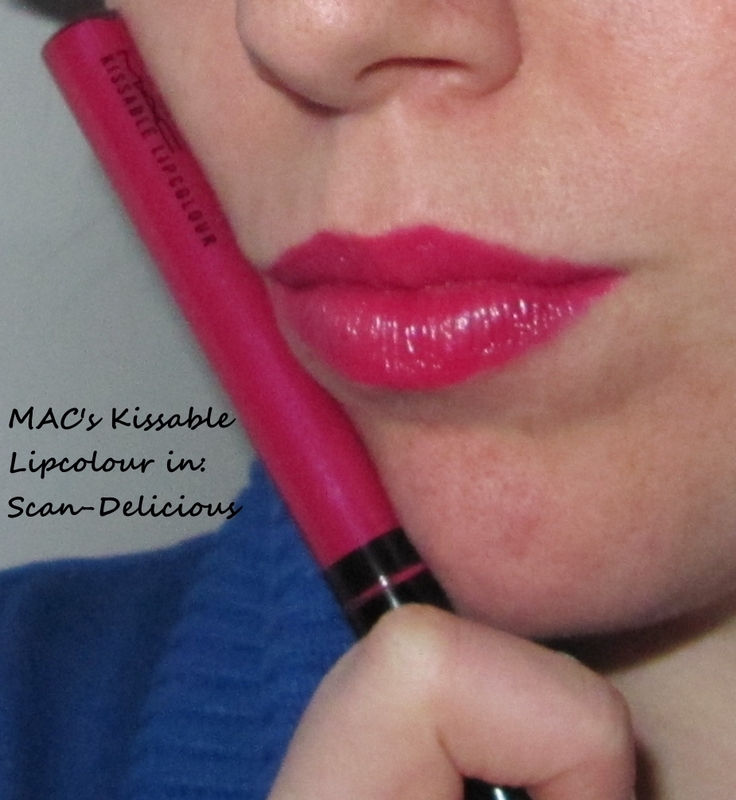 You won’t hear any regrets from me on this product, I love the colours together and this product lives up to what I’ve come to expect from MAC Cosmetics. These gorgeous duos retail for $24 CAD or $20 US and give you 2.5g of baked colour goodness. 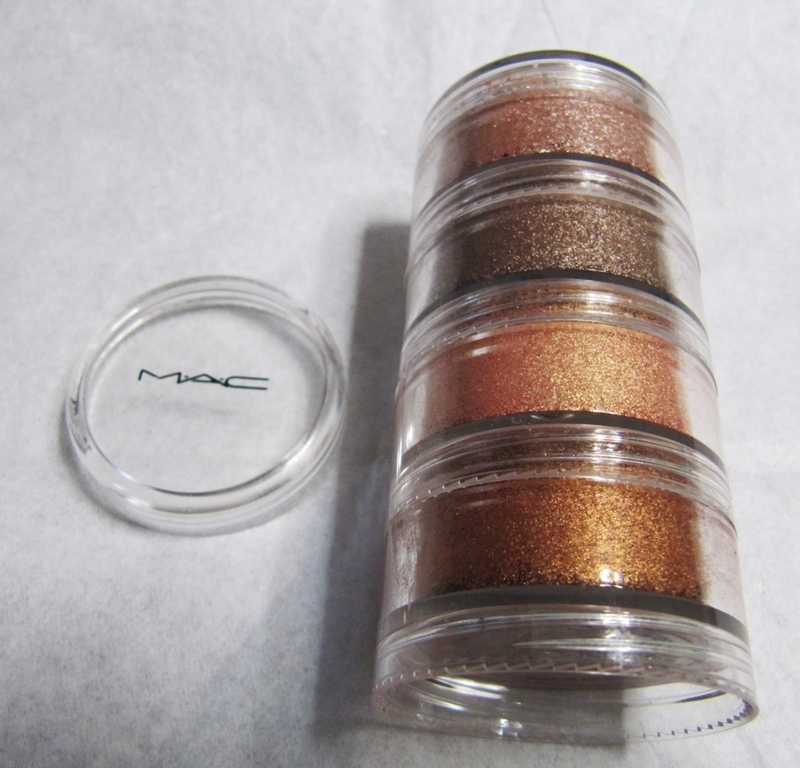 For comparisons sake, in a regular MAC eyeshadow, you receive 1.5g and pay $18 CAD or $15US. 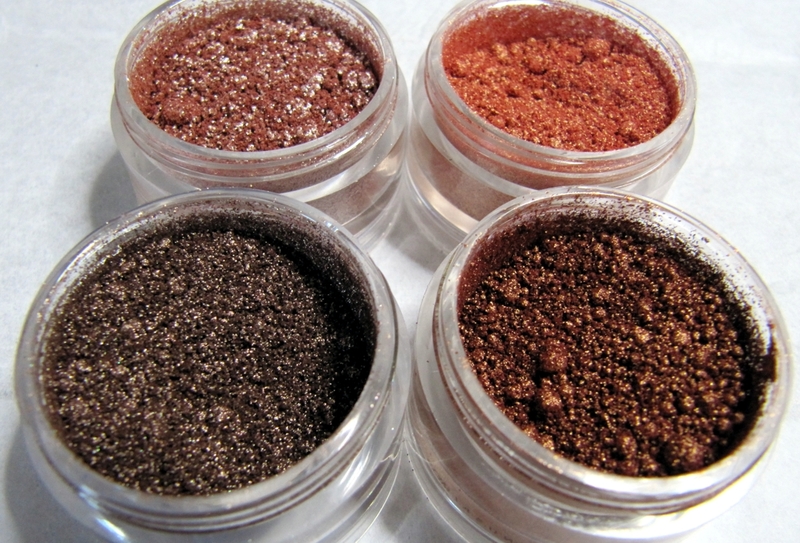 I think what I love most about their mineralize baked eyeshadows are that they are super easy to apply, work with and blend together. 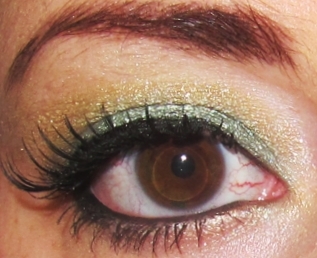 They always seem to just seamlessly form a gorgeous eye with no work at all. 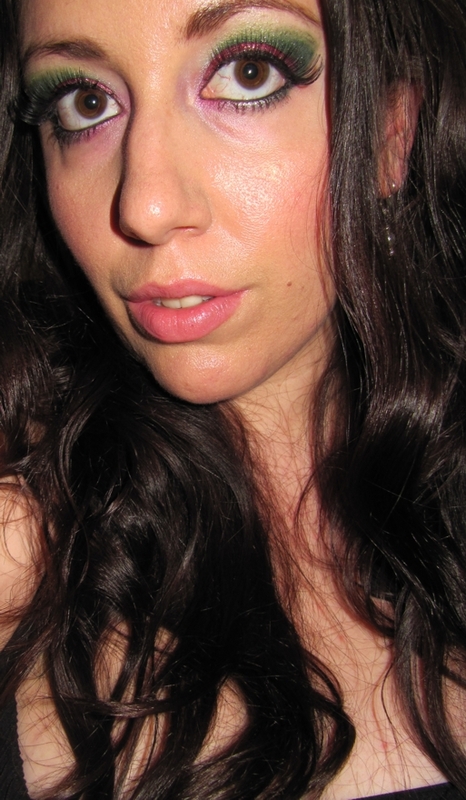 If you want a softer look, use a dry brush. 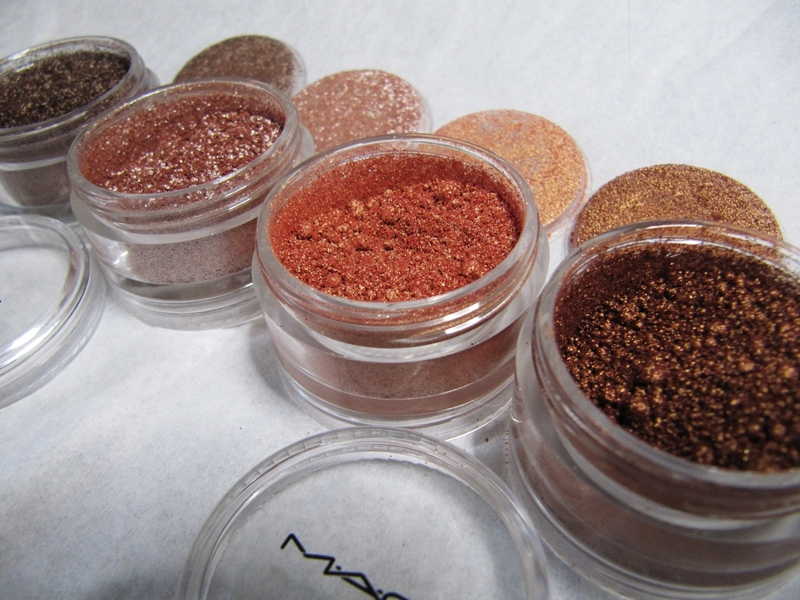 If you want your colours a bit more vibrant, use a wet brush to apply these mineralize eyeshadows. For my look, I used a wet brush. Fill in your brows and shape them how you like. I used MAC’s Mystery Eyeshadow for this. Apply your primer all over your lid. 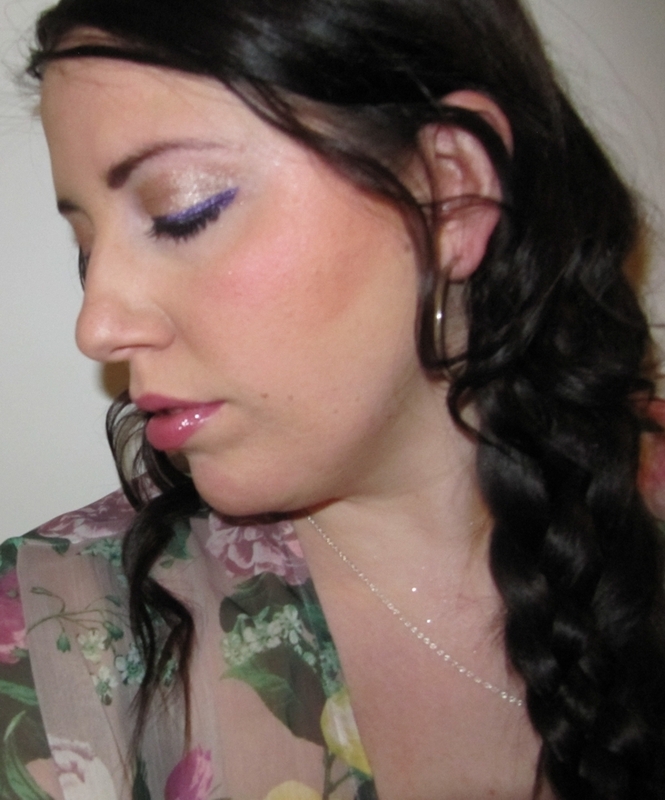 I used Urban Decay’s Potion Primer. Wipe your brush off on a kleenex, re-wet your brush and apply the dirty gold throughout your crease and the outer edge of your eye. 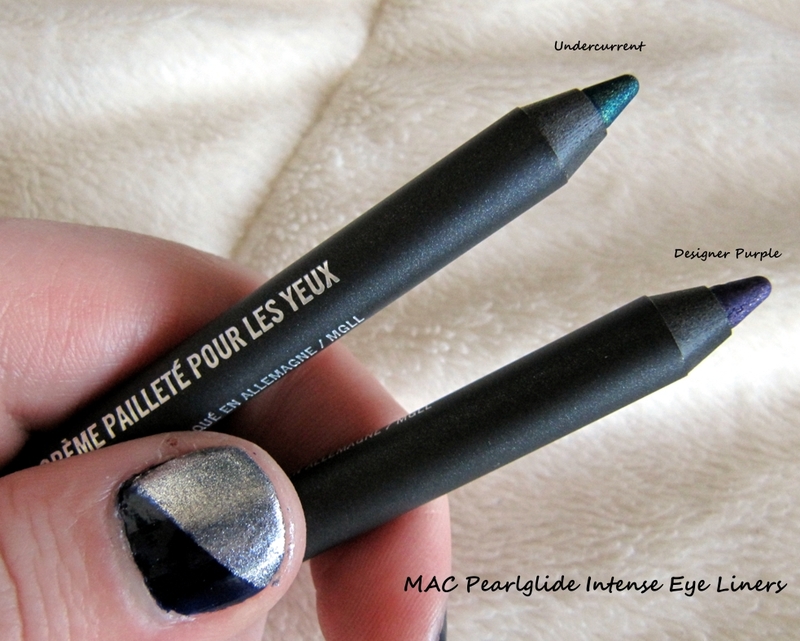 Line your upper and lower lash line with black eyeliner of your choice. 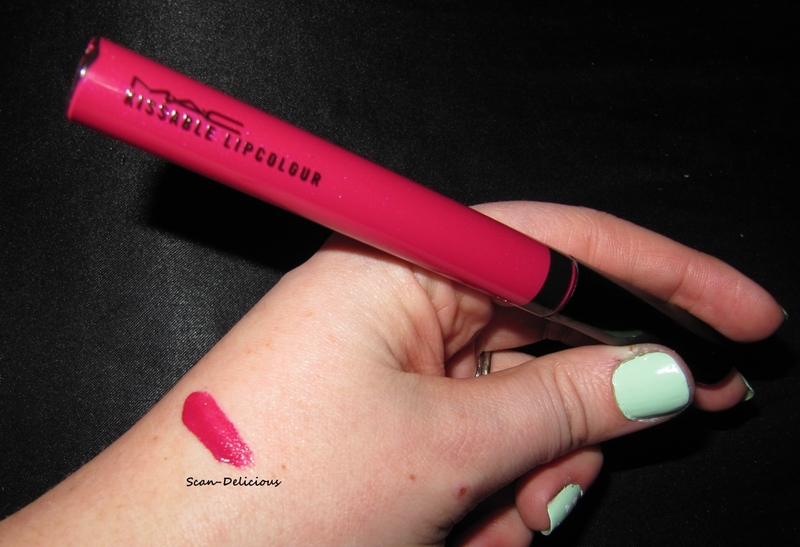 I used Maybelline Master Precise Felt Tip Liquid Liner in Black on my lids and Blacktrack Fluidline by MAC on my waterline. 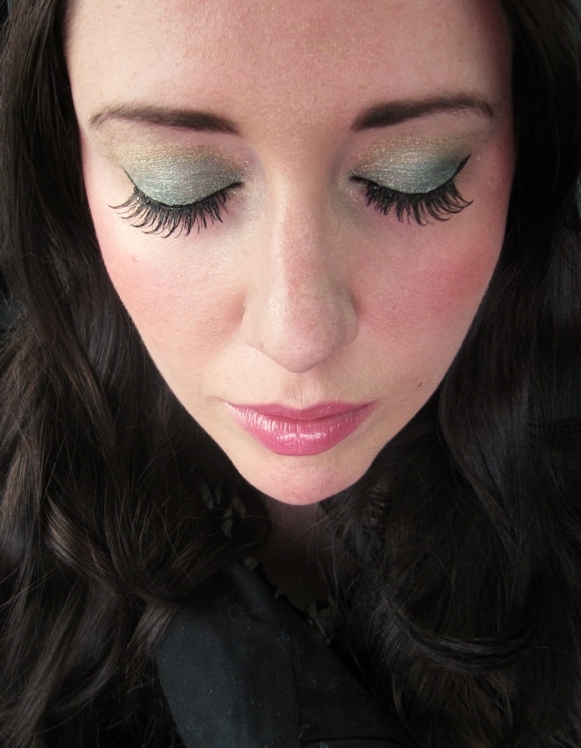 For my lashes I used Ardells #102 Demi False Lashes on top and Clinique’s High Impact Mascara on my bottom lashes. Viola! 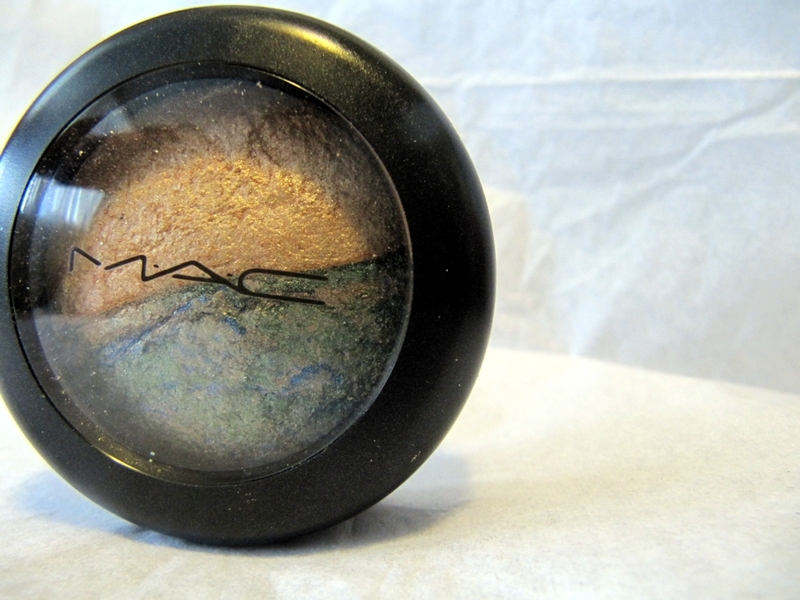 Super easy, no blending required with this MAC duo. You simply slap it on and just by having the two colours touch each other, they blend themselves. Fool proof! 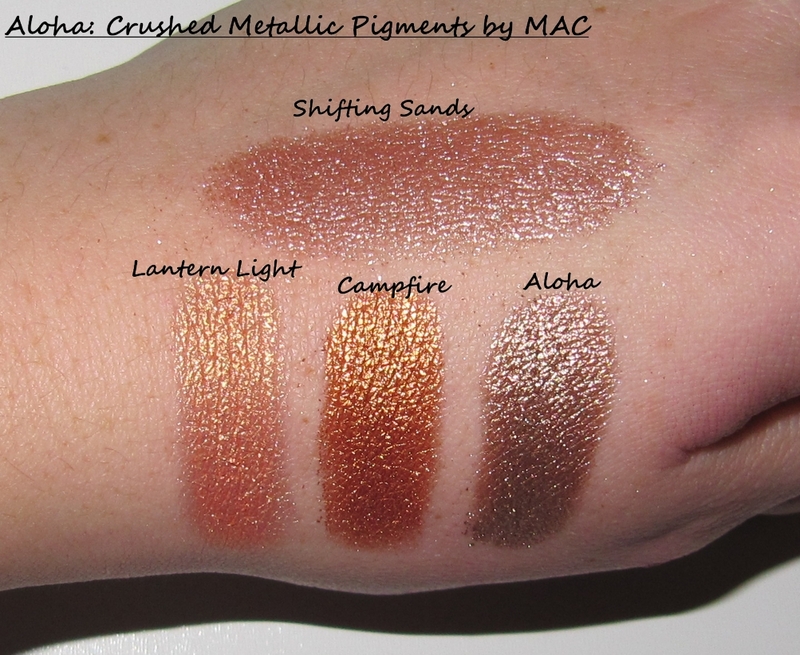 Do you own any MAC Mineralize shadows? How do you like them? 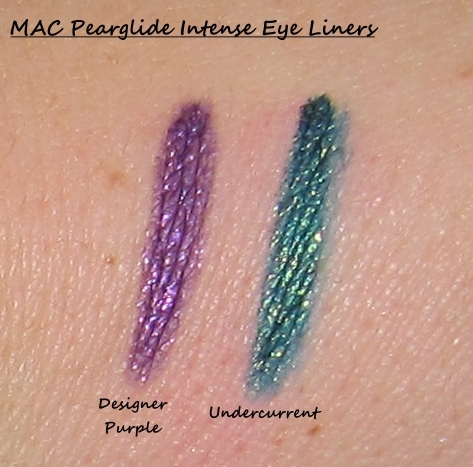 The main shade I wanted to make sure I incorporated was the deep rich purple, Gravity. Without making the look super dark I went on a hunch and paired it up with some of the neutrals that have a pink undertone. It ended up blending together nicely. What I love most about this look, is that it is still very dramatic drawing focus to the eyes, but not overly dark and heavy looking.